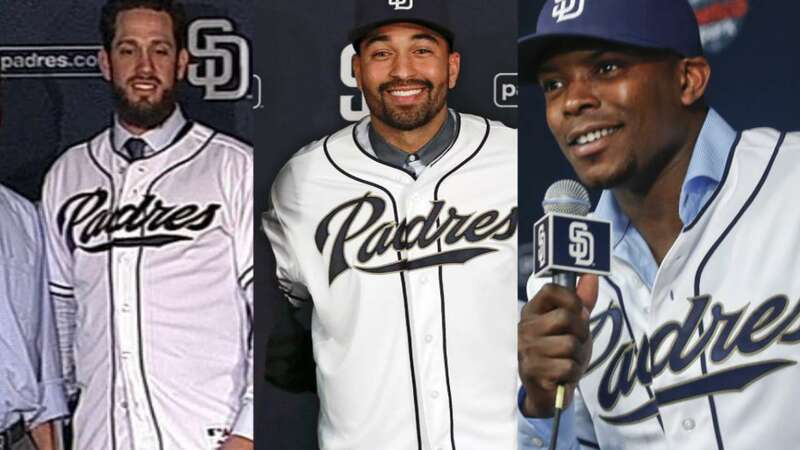 After an uneventful 2014 season that saw a fourth straight losing season, the San Diego Padres had arguably the most exciting offseason in recent memory. Will all the moves lead to success in 2015? 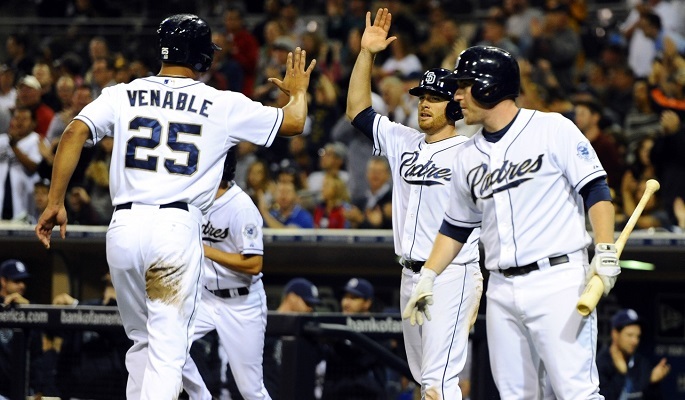 It could be said that the Padres were one of the most boring teams in baseball in 2014. They had a solid pitching staff, but a lack of offense led to a sub-par season. They only reason their record and standing were that good is because they happened to have the Rockies and the Diamondbacks in their division. To say the Padres' lineup went through a transformation this offseason would be a grand understatement. Of the 2014 Opening Day starting lineup, only two players (Jedd Gyorko, Yonder Alonso) will remain come Opening Day 2015. Many of the former starters will now be backing up the likes of Matt Kemp, Wil Myers, Justin Upton, Will Middlebrooks, and Derek Norris. All these players were acquired via blockbuster deals this offseason. Add to that pitching ace and staff mentor James Shields, and you have gone from one of the most boring teams in the league to the of the best and most exciting. Who cares what they lost? They upgraded every position around the diamond. The new heart of the Padres' batting lineup now features the likes of Justin Upton and Derek Norris. However, the player that may determine the success or failure of the 2015 season is Matt Kemp. Only a few years removed from being votes away from winning an MVP, Kemp's career is on the rebound. After some injury plagued seasons, he finally seemed to be back on the right track in the second half of 2014. Kemp had, however, overstayed his welcome in the extremely crowded Dodger outfield. If he was going to make it back to who he once was, it would be for someone else ... like the Padres. Now the Padres are counting on the end of 2014 being a sign of things to come instead of a flash of what could have been if it weren't for another injury. After being the Padres' Opening Day starter in 2014, Andrew Cashner never lived up to the billing of ace. Suffering through an injury plagued season, he only tallied 5 wins last year. Now with Big Game James taking the pressure off, Cashner can live up to his potential and be the type of guy that can seemlessly slot in behind the new ace of the staff. The Padres' number two prospect, catcher Austin Hedges, is not slated to be ready until next season. However, if they get a chance at a postseason run, look for him to be a potential impact bat off the bench a la Andrew Susac last year for the Giants. Also, watch for Hedges to get an early look if there is an injury to Derek Norris. However, with most of last year's starters now serving as this year's bench, don't look for many, if any, rookies to pop up with any significant time this year. 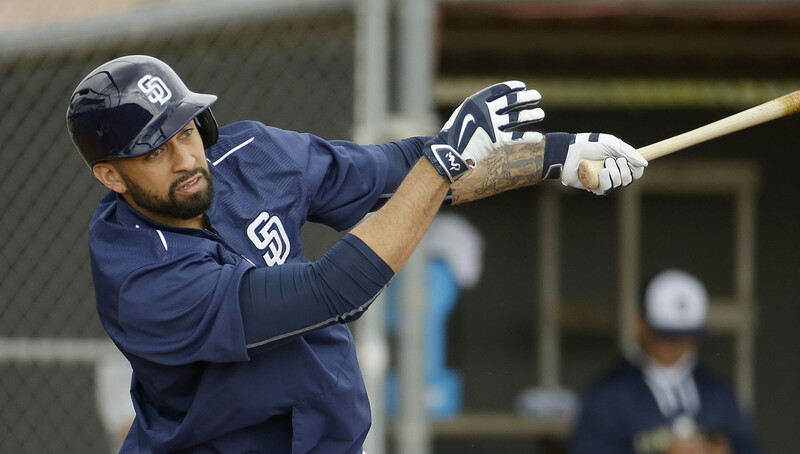 This complete overhaul of the roster has the Padres poised for a postseason already in 2015. They brought in enough proven bats that Petco Park will not even prevent them from scoring runs. Add to their young pitching staff a solid ace and another year of experience, and the Padres are destined to make the biggest leap in the standings and be a contender for the foreseeable future. The Baltimore Orioles worked through injuries and disappointing seasons in 2014 to top one of the most competitive and discussed divisions in baseball. Do they have the talent to repeat in 2015? The 2014 season for the Baltimore Orioles had to be considered an incredible achievement. They finished the season with the second best record in the American League, swept their way through one of the best pitching staffs in baseball by beating the Tigers in the ALDS, and if it weren't for the buzz saw that was the 2014 Kansas City Royals, they win the pennant and maybe the whole thing. It's pretty impressive on its own, but even more when you consider what the O's had to endure. First, All Star catcher Matt Wieters missed most of the season with an injury. The same could be said for third base phenom Manny Machado, who at least played half the season. The breakout star of 2013, first baseman Chris Davis, showed his performance that year may have been a fluke as he finished with a batting average under .200 and a home run total that was cut in half. On the pitching side, Ubaldo Jimenez, the only starter with any history of success, struggled again, and closer Tommy Hunter needed to be replaced mid-season due to lack of production. When a list like this can be made for everything that went wrong, it's amazing they didn't finish in the cellar. However, thanks to the emergence of guys like Nelson Cruz, Steve Pearce, Chris Tillman, and new closer Zach Britton, the Orioles dominated. After such a strong 2014 season, many people said the Orioles were only a few pieces away from being the World Series favorites heading into 2015. However, instead of making those few moves, the O's were disturbingly quiet. They let Nelson Cruz, their most productive hitter in 2014, sign with the Mariners in free agency. Team leader, Nick Markakis, left to sign with the Braves, and they let one of the best setup men in baseball, Andrew Miller, sign with the division rival Yankees. As far as additions to replace the lost offense or help sure up an inconsistent rotation, they signed Travis Snider to play rightfield. So ... they basically did nothing. One of the reasons (I'm assuming) the Orioles didn't feel a need to fill what appeared to be big voids in their lineup left by Cruz and Markakis is they are expecting to have healthy, productive seasons out of some of their stars that underwhelmed last year. The brightest of those stars that need to step up is Manny Machado. Heading into this season healthy, the O's are expecting him to be back at the level that made him an All Star and Gold Glove winner while leading the league in doubles at the age of 20 in 2013. He needs to show that he is back to that level of play, if not better, while also showing he is future leader and face of the franchise. That is quite the load for a young 22 year old. Last year, when Tommy Hunter started the year struggling, Zach Britton came out of nowhere to finally show some of the promise everyone was expecting to see out of him from the beginning as a highly-touted starting prospect. 2014 saw him earn his first save (ended up with 37 of them) and have his first ERA that didn't hover around 5.00 (1.65 ERA in 2014). The question going into 2015 is did this highly-talented kid finally figure it out and put it all together, or, like his burly teammate Chris Davis, did he just catch lightning in a bottle for one great year and will go back to being mediocre. The Orioles are counting on the former being the case. 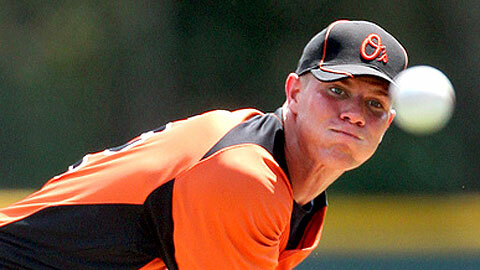 It feel like the Orioles have been waiting for the arrival of Dylan Bundy forever. As the 4th overall pick in 2011, Bundy made his big league debut in 2012 at the age of 19. After missing a year with Tommy John, he was working his way back to top form in 2014. Now, it looks like the O's top prospect is on the verge of being the star they have always hoped he would be. Look for him to pop up sometime around mid-season in their rotation. A guy with the talent of Dylan Bundy could explain why the Orioles didn't feel the need to go spend on a big time free agent for their rotation. When it is all said and done, the Orioles just don't have the firepower to be competitive, let alone dominant, in 2015. With the loss of Cruz, Markakis, and Miller, too many things have to go right. Matt Wieters has to be the guy that looks like the best catcher in baseball right away. Chris Davis has to go back to being his 2013 self. Steve Pearce has to continue to play above his talent level. Zach Britton has to follow up his career year with another one. Guys like Chris Tillman and Wei-Yin Chen have to continue to lead the pitching staff and not have a down year. Lastly, Manny Machado needs to be an MVP candidate. The O's had the talent to lose players of that caliber, but now their margin of error is so much smaller. Everything needs to go right for them to be great, and in a 162 game grind, that rarely happens. Look for the Orioles to take a couple steps back this year, and then maybe they will try something (anything!) next offseason to actually improve their team. The Washington Nationals finished 2014 with the best record in the National League, but failed to win even a playoff series. 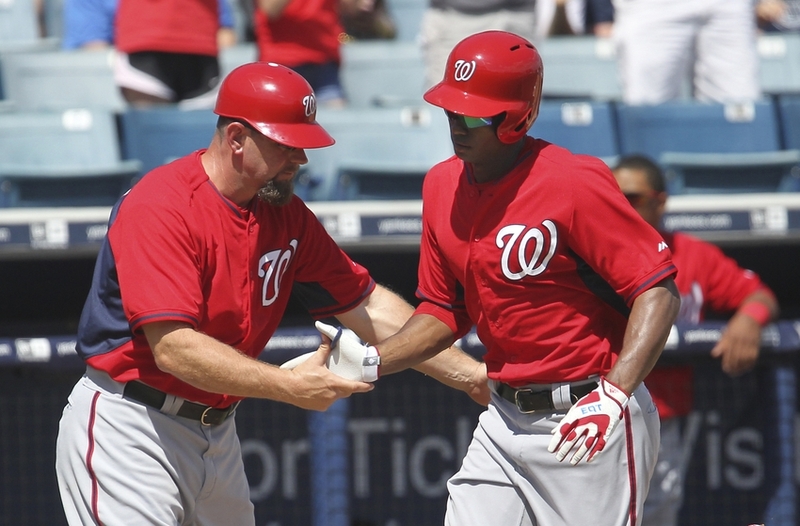 Could this be the year the Nationals go all the way? For the second time in three seasons, the Washington Nationals finished the regular season with the best record in the NL. Their lineup, top to bottom, seemed to be the best lineup in baseball. Their pitching staff was strong and deep. They looked poised to make a deep playoff run. Then their postseason seemed to be over before it even started. Simply making the playoffs is no longer good enough for them. For a season to be a success, they need to win the World Series. That is hard to do when they can't seem to win a playoff series. How do you improve what already looked like one of the best rosters in all of baseball? You start by signing top free agent Max Scherzer to a ridiculous contract, strengthening what was already possibly the best rotation in baseball. They then traded setup man Tyler Clippard to Oakland for Yunel Escobar, who is an upgrade at second base for them. 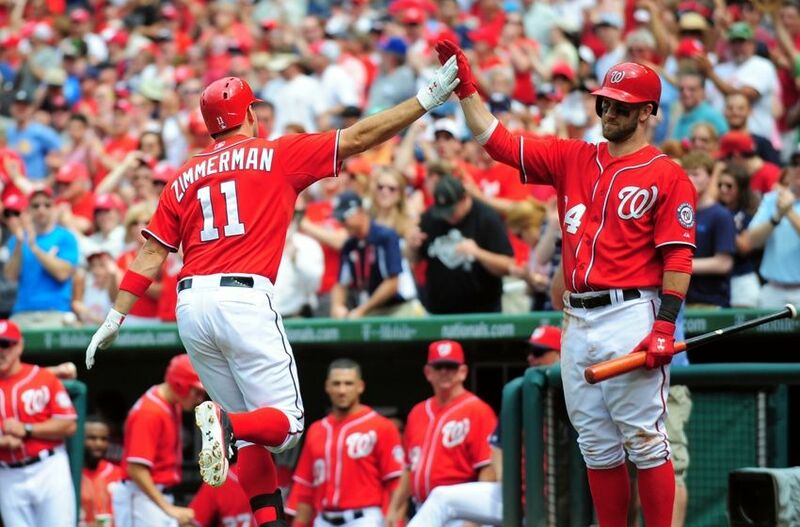 They lost first baseman Adam LaRoche in free agency, but moving veteran Ryan Zimmerman over to first, it solved an ongoing problem from 2014 of having too many players and not enough positions. 2014 breakout player Anthony Rendon will take over full time at third for Zimmerman this year. I don't know if there has ever been a player with more hype and notoriety without production than Bryce Harper. Some people place him as one of the best players our game has, putting him on a level with guys like Mike Trout and Andrew McCutchen. If you look at his numbers though, Harper looks more like a bust than a breakout star. The former number one draft pick has yet to play a full season or hit over .275. As someone who was billed as a transcendent talent that is still being talked about as one of our game's superstars, that is just not good enough. The paradox with Harper is although he has time to get better (only entering his age 22 season), he also does not have time. The window for the Nationals is not very big as their current core starts to age. Some are even questioning if their pitching staff makes it through the season in tact with Jordan Zimmerman set to be a free agent at the end of the season (one the Nats probably won't have the money to sign). The team needs to win now, which means the team needs Bryce Harper to be great now. That means he needs to play 150+ games, hit .300, hit 25+ home runs, etc. He needs to perform like the player the hype says he already is. His inadequacies have been masked by the deep lineup, but he may be the key to kicking this team over the top. If 2014 taught us anything, it was that pitching wins championships. Not just pitching, but bullpens can win championships. 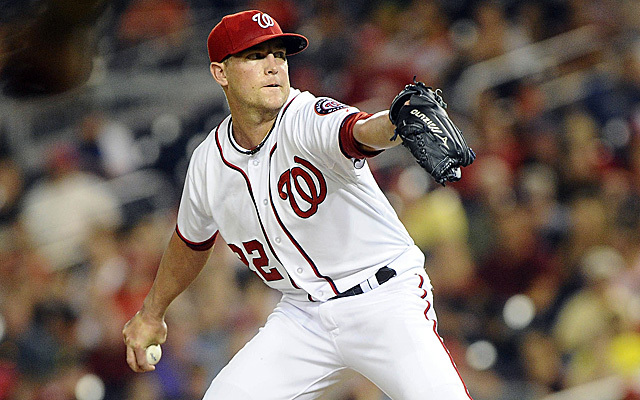 For the last few years, the Nationals have been notorious for having a weak bullpen. That Achilles heel cost them in their 2012 playoff run for sure. Instead of improving their bullpen this offseason, the Nats did nothing. Instead, they actually weakened it by trading away Tyler Clippard. This puts an incredible amount of pressure on closer Drew Storen. After costing the Nats a playoff series in 2012, he was removed from his closer role until halfway through 2014. Last year saw a return to some dominance, but now he needs to be great all year (including a potential playoff run) if the Nationals want to reach the heights they strive for. We may be hearing this name called on Opening Day if Denard Span cannot return in tim efrom his injury. Michael Taylor is one of the Nationals' top prospects and is expected to play a role on the club this season. With a talented and full outfield, there actually is a chance he will see significant time in 2015. With as talented as Span, Harper, and Jayson Werth are, they are also fragile and prone to injury. If/When any of them get injured, look for Michael Taylor to get his chance to show the league what he is all about. The Nationals will most likely have the best record in the NL again this year, more due to the fact that their division will once again be the weakest in the league. (Last year, the NL East was the only division in MLB to have only one team with a winning record.) Their starting rotation is ridiculous, having six pitchers with the potential of being aces on any other pitching staff. I see them getting one step further than they have in the past seasons, however they will regret not working harder to improve their bullpen. That will come back to bite them and keep them from going all the way. The New York Mets definitely made significant strides in 2014, even with superstar pitcher Matt Harvey sidelined for the whole season. With Harvey healthy and ready to go, does 2015 show even more success for the Mets? There is definitely hope in Mets Nation after their 2014 season. Despite missing their best player, they came up with their highest win total since their last winning season in 2008. With young players like Juan Legares and Travis d'Arnaud solidifying their roles alongside mainstays like David Wright and Curtis Granderson, things are starting to look up for the offense. On the pitching side, youngsters Zack Wheeler and Rookie of the Year winner Jacob deGrom showed that there is more to their pitching staff than just Matt Harvey. For the most part, the Mets were almost silent this offseason, which is rare out of a New York team. The one change in their lineup is the addition of veteran Michael Cuddyer replacing Eric Young, Jr. in leftfield. The most significant move going into this season is one they did not want to make. During Spring Training, phenom pitcher Zack Wheeler underwent Tommy John surgery and will miss the 2015 season. As disappointing as this is, remembering that there is now a healthy Matt Harvey lessens the sting some. The Mets' most important hitter is also by far their most popular hitter. David Wright has been the heart and soul of the Mets since he debuted as a 21 year old in 2004. Now he is entering his age 32 season and is coming off one of his worst seasons of his career. 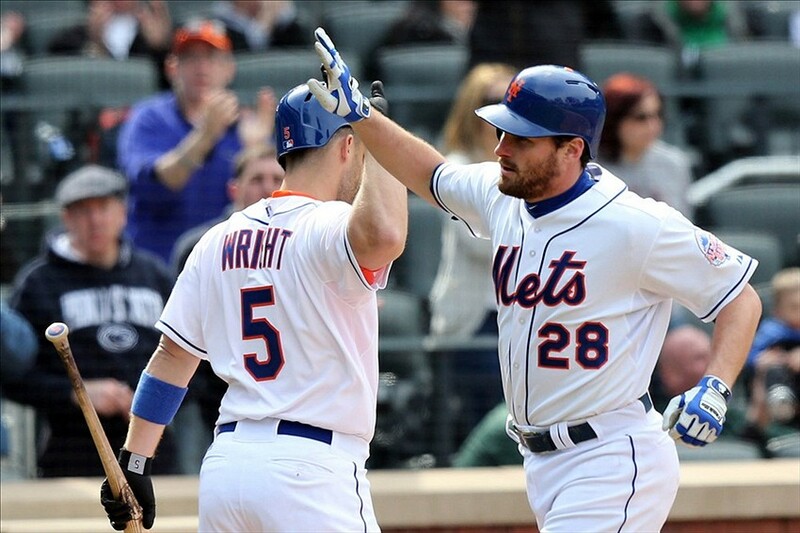 The Mets are getting younger, but if this current team is going to have any success this year, Wright has to return to his All Star level and produce at the plate. Was last year an anomaly or a sign of age? 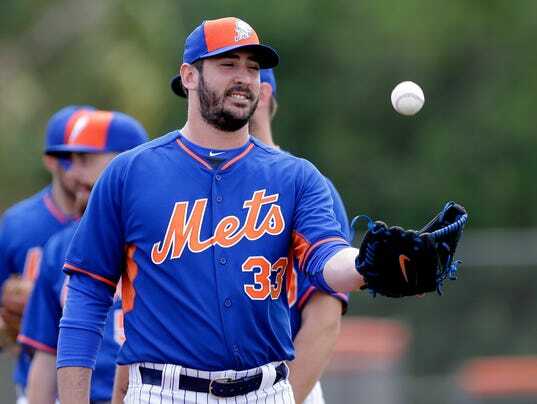 The weight of the world has been thrown onto the shoulders of ace Matt Harvey, who has yet to even pitch a full season in the big leagues. That is a lot of pressure for a young pitcher, but unless you are Clayton Kershaw, one starting pitcher doesn't win you a pennant (and Kershaw even had Zack Greinke helping out). Harvey needs a number two to take some pressure off, and with Wheeler out for the year, Jacob deGrom needs to be that number two. Although he won the Rookie of the Year in 2014, he was far from great. He has the potential to get there, and he needs to show that potential if the Mets want to continue to make positive strides in 2015. The recent injury to Zack Wheeler almost ensures this year will feature the emergence of prospect Noah Syndergaard. Ever since the Mets received him in the RA Dickey trade, fans have been awaiting the Mets' version of the "Big 3" at the top of their rotation with Harvey, Wheeler, and Syndergaard. 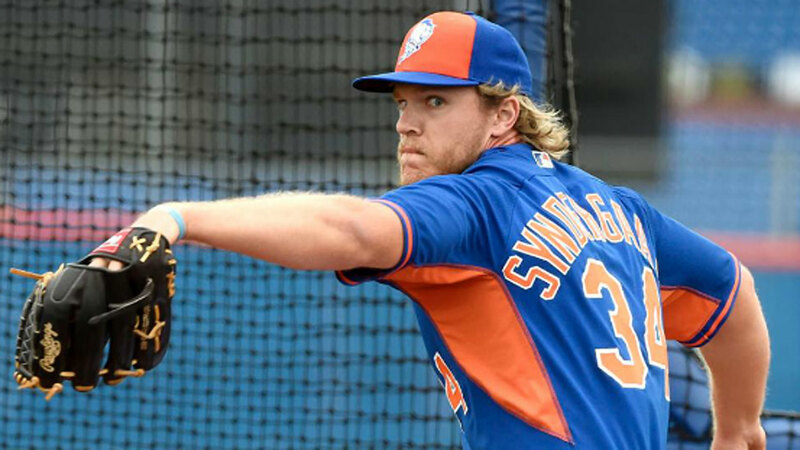 Although Wheeler's injury has delayed the debut of the Big 3, it will speed up the debut of Syndergaard, who could easily give the Mets two straight Rookie of the Year awards in their starting rotation. The Mets are making strides in the right direction. Their young rotation is poised for greatness for sure, but I don't see the lineup being quite ready to break out. As good as David Wright has been, his best years are behind him. The same can be said for Granderson and Cuddyer. Looking at the rest of their lineup, I don't see any bats that are feared. If Wright, Cuddyer, and Granderson can all stay healthy for the whole season (unlikely) and all return to their greatness they once showed (unlikely), then the Mets have a chance this year. Instead, I see another season full of promise but nothing fulfilled. They need to find some younger impact bats for that lineup before the window of this amazing pitching staff passes. The Miami Marlins had a surprising 2014 led by one of the best players on the planet. Will the Marlins continue to take steps forward, or are they still more laughable than legitimate? The list of offseason moves starts mainly with who is not leaving. When the Marlins were able to ink Giancarlo Stanton to a 13 year deal (with a no trade clause), it was possibly the first time in the franchise's history they have shown a commitment to long term success and spending. With Stanton signed, the Marlins didn't stop there, remaining active throughout the whole offseason. As opposed to the 2012 offseason where they went after high end free agents with big price tags, this time around they improved their team with small move after small move. They traded for Martin Prado to replace departing third baseman Casey McGehee. They traded for Dee Gordon and Dan Haren from the Dodgers. They also traded for Mat Latos from the Reds. Then they signed veterans like Mike Morse and Ichiro Suzuki to fill out the roster and add depth. With only McGehee and starter Nathan Eovaldi being the only players that saw significant time in 2014 departing the roster, the Marlins definitely looked greatly improved in 2015. 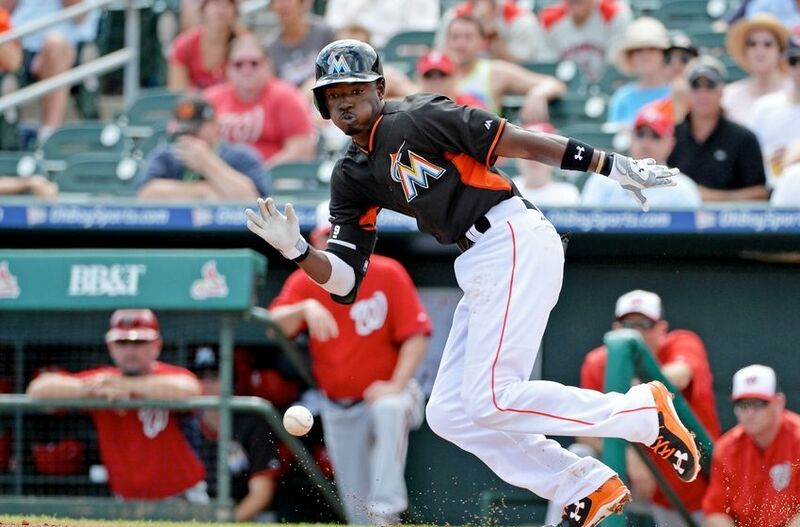 In his first full year as a second baseman, Dee Gordon had a career year in 2014, making the All Star Team for the first time and leading the league in triples and stolen bases. Now, he has been brought over to Miami to be the table setter for their young lineup. The Marlins are counting on Gordon to continue the progress he made in 2014 and play like one of the best lead-off hitters in the league. His talent says that he can be and should be. Having a player like Ichiro, one of the best lead-off hitters maybe of all time, on the roster could help Gordon be great. With Jose Fernandez not quite fully recovered from his Tommy John surgery, and no one knowing if he will be all the way back to 100% this season, it puts a lot of pressure on the rest of the staff to pick up the slack. This is probably why the Marlins brought in veterans like Mat Latos and Dan Haren to solidify the back end of the rotation, but the majority of this pressure is going to fall on the young shoulders of Henderson Alvarez. He is capable of shouldering the load as he did in 2014, winning 12 games with a 2.65 ERA. If he can repeat that production, he and Fernandez will be quite the formidable duo at the top of the rotation for years to come. Usually, when you think about the Marlins, you think about young prospects getting a chance to prove themselves (usually before they are ready). This year's Marlins are not quite that way, with each position fairly set for the year. One name to watch for, though, is Justin Nicolino. With so much age ... I mean ... experience ... at the back end of the Marlins' rotation, it is highly likely they decide to move on from one or two of their elder statesmen that are not able to perform like they did in their glory days. If this happens, look for lefty Nicolino to be one of the first to get a shot to prove himself. The Marlins have definitely taken another step forward heading into 2015. Combine that with a weak division this year, and it is highly plausible to see Miami finishing above .500 and competing for a Wild Card spot through most of the summer, no matter how much they get out of Jose Fernandez. With a healthy 100% Fernandez, who knows how far this team can go? This has definitely become a team to watch moving forward, if for no other reason than to see what Giancarlo Stanton is going to do with the bat next. 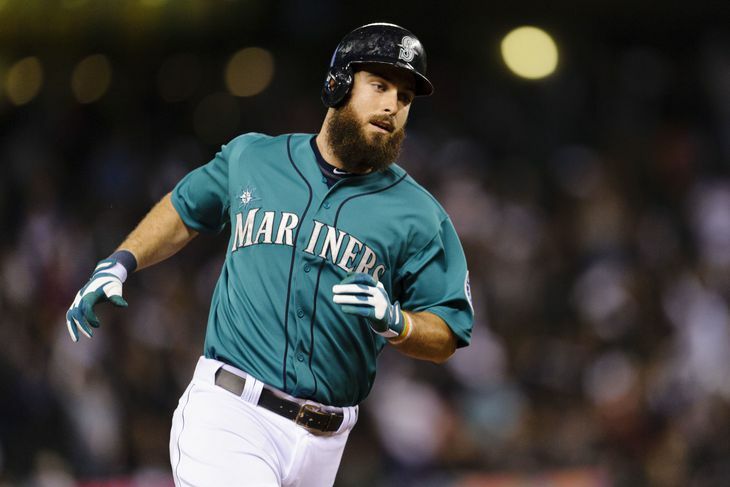 In 2014, the Seattle Mariners surprised everyone: first by landing one of the game's biggest superstars, and second by coming just one game short of their first playoff birth since 2001. Will 2015 continue their new-found success? The hype around the M's 2014 season started with the surprise signing of former-Yankee Robinson Cano to help jumpstart what had been a historically bad offense. Many people criticized the move, saying one player cannot make that much of a difference. However, all the nay-sayers were proven wrong when the Mariners, led by new manager Lloyd McClendon, finished with their best record since 2007, and still had a shot at a Wild Card birth on the last day of the season. With Felix Hernandez continuing to anchor a stellar pitching staff and Cano leading an improving offense, now all the critics are saying that the 2014 success is just the beginning. 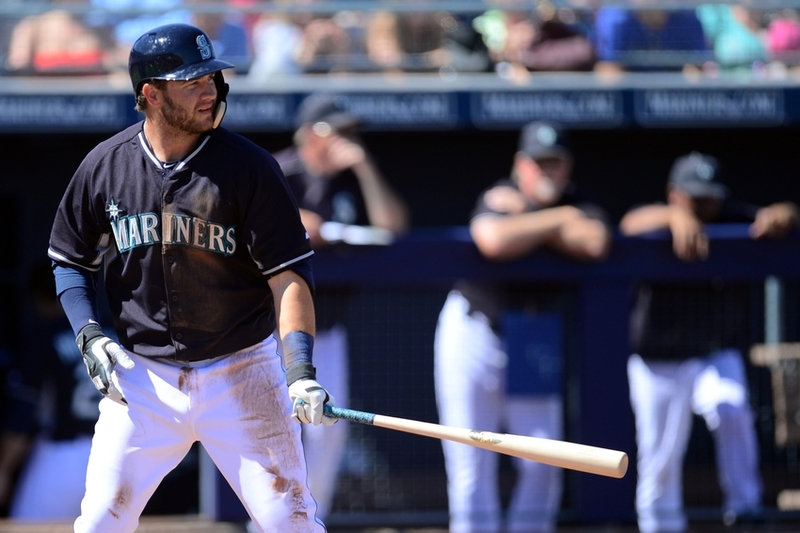 Although the offense improved, the Mariners' lineup still was lacking depth and consistency. That was addressed in the offseason with the signing of DH Nelson Cruz, who is coming off a career year with Baltimore. The M's also worked to improve rightfield, first by trading current rightfielder Michael Saunders to Toronto for starting pitcher JA Happ (Happ took the place of departing Comback Player of the Year, Chris Young, in the rotation), and then acquiring Seth Smith and Justin Ruggiano to work in a righty/lefty platoon. The only impact player lost in those deals was hard-throwing reliever Brandon Maurer, who went to San Diego. Dealing Maurer will not impact the club though, as the Mariners sport one of the deepest and strongest bullpens in the league. By adding veteran Rickie Weeks as a bench utility man, the Mariners seem to have quite a complete roster. The Mariners, even through the really bad year, have always been rich when it comes to pitching. The last few years, Mariners fans have heard about a "Big 3" group of starting pitchers working their way to the big leagues. Danny Hultzen, the 2nd overall pick in 2011, was derailed by injuries. However, 2014 was the year the other two of the "Big 3" hit Seattle. Taijuan Walker was the one everyone wanted to see, but due to injuries his first full season was a bit of a let down. The most overlooked of the "Big 3" ended up being the most successful in 2014, James Paxton. Although dealing with his own injury issues, Paxton showed enough dominance to cement his place in the rotation and is now being counted on as the left-handed ace to be slotted in behind King Felix and Hisahi Iwakuma in 2015. With no one knowing how much success to expect out of the newly acquired JA Happ, it is on Paxton's shoulders to be the dominant lefty in the Mariners' rotation and keep the pitching staff the immense strength it has been. The Mariners are counting on Logan Morrison to be an impact bat at first base this season. Knowing that his career so far has been one of injuries and inconsistency, that is less than a sure thing. If he struggles or gets injured, former top prospect and current bust Jesus Montero might get a chance to show what he can can do, but also look for a potential early arrival of D.J. Peterson. Ranked as the Mariners' #2 prospect and MLB.com's #51 prospect overall, Peterson is expected to be an impact power bat that can anchor the heart of any lineup in the future. If things work out right, that future could start this season. If you haven't figured out quite yet, I am a die-hard Mariners fan. With that said, I can't remember a time when expectations were as high as they are this year. Most experts are picking them to make the playoffs, win the division, or even make their first World Series appearance in franchise history. With the addition of Nelson Cruz giving Robinson Cano added protection in the lineup and taking pressure off younger hitters like Kyle Seager and Mike Zunino, and King Felix leading a pitching staff that looks as strong as ever (especially with a healthy Taijuan Walker finally looking ready to show why he has been one of the most talked about pitching prospects in all of baseball), all of these predictions seem completely realistic. As a fan, I feel like I did before the 2013 NFL season. I am also a Seattle Seahawks fan, and after their run in the playoffs in 2012, I truly thought the sky was the limit for them in 2013. However, I had been a Seattle sports fan for too long (Save Our Sonics!) to get my hopes up too high. I was afraid to predict them to finish as high as I knew they possibly could because, honestly, they always underwhelmed. That is the same feeling I have going into the 2015 MLB season. Do they have the roster to go all the way? They absolutely do, but history has shown that the Mariners have never been able to live up to lofty expectations. If they find themselves in the playoffs, they will go deep as they will be able to out pitch almost any team they face. I just hope they can get that far because this is their best shot in over a decade at making a deep playoff run. The Cleveland Indians had a good deal of success in 2014 even if it didn't lead them to the playoffs. 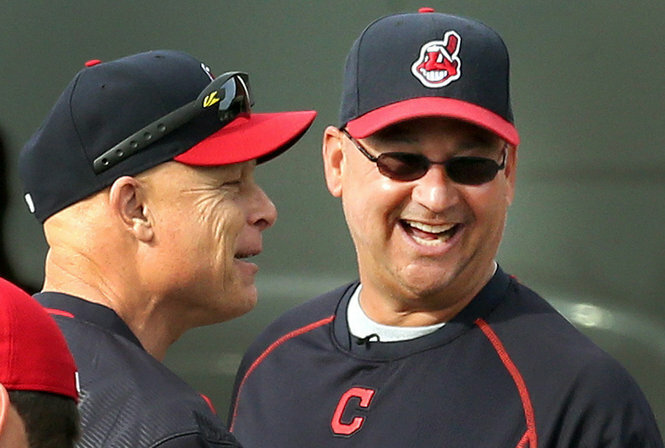 Will Terry Francona continue to lead the Tribe in these winning ways in 2015? The Indians were able to follow up their improbable run to the Wild Card in 2013 with another improbable winning season. Although they were beaten out by Detroit and the eventual AL champ Royals in the Central, the season was a definite success. Michael Brantley announced his presence as one of the top young hitters in the game, and Corey Kluber rode a ridiculous second half of the season to a Cy Young Award. Even with down years from the likes of Nick Swisher, Michael Bourn, and Jason Kipnis, the Tribe finished with a winning record and only a few games away from repeating a Wild Card run. The primary subtractions heading into 2015 for the Indians took place at the Trade Deadline in 2014, when they dealt away Asdrubal Cabrera and Justin Masterson. They really didn't lose anyone else from their roster besides clubhouse mentor Jason Giambi. Coming to the Tribe in 2015 is Brandon Moss from Oakland, who will add lineup depth with his consistent bat in rightfield. Jason Kipnis experienced a breakout year in 2013, making the All Star team and helping anchor a lineup that went to the playoffs. In 2014, he came back down to earth, tallying career lows in batting average (.240) and home runs (6). If the Indians want to find themselves back in the playoffs in 2014, Jason Kipnis needs to get back on track and return to his All Star form. With young talent in the middle infield coming up through the farm system, look for Kipnis to be expendable if he doesn't produce. In only his second full season in the big leagues, Corey Kluber came out of nowhere to become one of, if not the, most dominant pitcher in the American League. He had career highs in wins (18), strikeouts (269), ERA (2.44), and had a 7.4 WAR as a starting pitcher. No wonder he won the Cy Young as he almost single-handedly kept the Indians in the playoff hunt. The question surrounding Kluber going into 2015 is can he repeat that performance. His 34 starts last year bested his previous high by 10, and his 235.2 innings pitched was the first time he pitched over 150 innings in the big leagues. Yes, his numbers were outrageous in 2014, but could an unprecedented work load on his arm lead his performance to be an anomaly? Considering how quickly his inning count spiked and how his numbers spiked (his ERA dropped by almost a run and a half from 2013 to 2014), it wouldn't be unfathomable to think that Kluber will have a down year in 2015. The problem is the Indians need him to be the dominant Cy Young winning anchor of their staff to have another shot at the playoffs. I see a stint on the DL more likely than a repeat of that level of dominance. Some people wondered why the Indians were so willing to part ways with their longtime shortstop Asdrubal Cabrera in 2014. Those that knew the Indians organization knew exactly why they traded him, and his name is Francisco Lindor. Ranked as the #1 prospect in the Indians farm system and #4 on MLB.com's Top 100, this 21 year old shortstop is a future superstar that the Tribe had to clear a path for. Although he will not start this season on the major league roster, watch for him to burst on the scene at some point this year. The timing is going to depend on the success of the current big league middle infielders (Jason Kipnis and Jose Ramirez). I always seem to underestimate the Indians. Every year, they over-perform and surprise the league. This is a huge testament to their manager, Terry Francona. However, there are just too many question marks heading into 2015 to see them repeating the success of the last few years. Can Corey Kluber duplicate his Cy Young season? 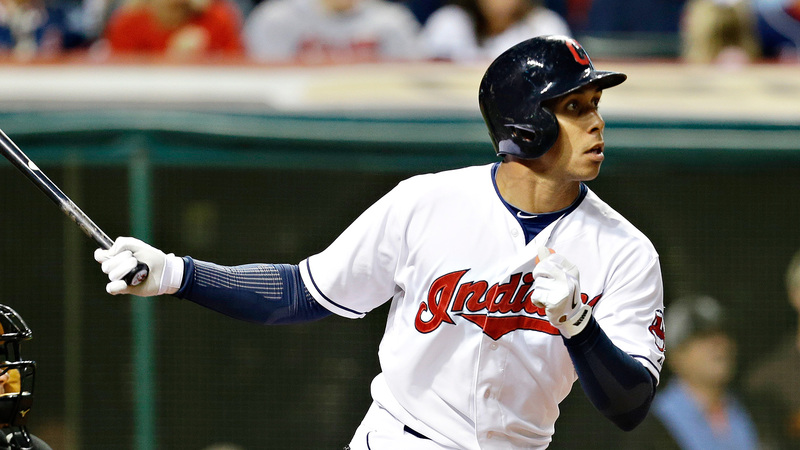 Can Michael Brantley pick up where he left off last season? Can Michael Bourn return to being the lead-off hitter he is being paid to be? Can Jason Kipnis return to his All Star form? Does Nick Swisher have one more solid season in him? Can a no-name bullpen finish games? For them to make a playoff run, all of those questions have to be answered with a resounding yes, which is unlikely. In a division that keeps getting more and more competitive every season, I see the Indians taking a step back in 2015. With that said, knowing that it's Terry Francona's team, don't be surprised if I am wrong.